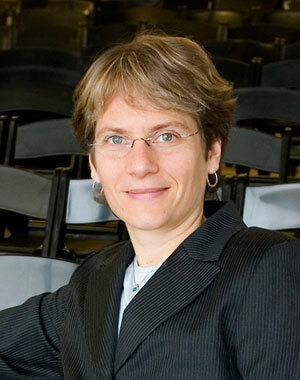 Chemical biologist Carolyn Bertozzi of the University of California, Berkeley, will receive this year’s $500,000 Lemelson-MIT Prize, which honors inventors and entrepreneurs, according to an announcement today (Wednesday, June 2) by the Lemelson-MIT Program at the Massachusetts Institute of Technology (MIT). Named after the prolific inventor Jerome Lemelson, the annual prize honors an “outstanding mid-career inventor who is dedicated to improving our world through technological invention and innovation,” according to the Lemelson-MIT Program’s announcement. Bertozzi, the T.Z. and Irmgard Chu Distinguished Professor of Chemistry at UC Berkeley, as well as investigator of the Howard Hughes Medical Institute and a senior faculty scientist at Lawrence Berkeley National Laboratory (LBNL), has developed innovative chemical reactions that can be performed on biological molecules, living cells and even in live animals without harming them. These reactions use non-toxic chemicals and have had application worldwide in the biopharmaceutical industry in efforts to diagnose and treat diseases such as cancer, arthritis and tuberculosis. “The overarching goal of my research is to develop tools from chemistry that can be applied to the creation of new medicines and diagnostic tests for early detection of disease,” she said. She also invented and patented a way to precisely modify proteins using a process called the “genetically-encoded aldehyde tag” technology. In 2008, she and former graduate student David Rabuka, Ph.D., co-founded Redwood Bioscience to use this technology to develop novel protein drugs with properties that conventional molecular biology approaches cannot achieve. Bertozzi also holds patents for a cell nanoinjector, an instrument that introduces molecules into living cells via a “nanoneedle;” artificial bone materials; targets for tuberculosis therapy; and cell microarray platforms. She and her group have a program in biomaterials centered at LBNL, where she directs the Molecular Foundry, a DOE-supported Nanoscale Science Research Center. She also pushed creation of UC Berkeley’s Chemical Biology Graduate Program in the College of Chemistry. Her research accomplishments have been aided by more than 130 coworkers, including undergraduates, graduate students and postdoctoral fellows. A former MacArthur “genius” award winner, Bertozzi also is a faculty affiliate of the California Institute for Quantitative Biosciences (QB3) at UC Berkeley and a professor of molecular and cellular pharmacology at UC San Francisco. She is a member of the National Academy of Sciences, the American Academy of Arts and Sciences and a fellow of the American Association for the Advancement of Science. A popular teacher of organic chemistry, Bertozzi won the campus’s Distinguished Teaching Award in 2001. Among her other awards are the American Chemical Society (ACS) Award in Pure Chemistry and the ACS Arthur C. Cope Scholar Award; a Presidential Early Career Award in Science and Engineering; the Li Ka Shing Women in Science Award; and the Irving Sigal Young Investigator Award of the Protein Society. Lemelson and his wife, Dorothy, founded the Lemelson-MIT Program in 1994 to recognize “the outstanding inventors and innovators transforming our world, and (to) inspire young people to pursue creative lives and careers through innovation.” It is funded by The Lemelson Foundation and administered by MIT’s School of Engineering. For more information, see the Lemelson-MIT Program website. A fact sheet describes Bertozzi’s inventions in greater detail.